The following Privacy Statement summarizes the various ways that JCH Media Inc. (JCH Media) treats the information you provide while using www.MediaPlayNews.com or any other JCH Media property. It is our goal to bring you information that is tailored to your individual needs and, at the same time, protect your privacy. This Privacy Statement does not cover information collected elsewhere, including offline and on sites linked to or from any of our sites. Please read this Privacy Statement carefully. Your use of, accessing, and/or registration on any aspect of our sites will constitute your agreement to this Privacy Statement. If you do not agree to these terms, please do not use our sites. If you have any questions regarding our privacy statement, please feel free to contact us through our online contact form at https://www.mediaplaynews.com/contact/ or by e-mail at admin@mediaplaynews.com. Your use of our sites constitutes agreement to its terms and conditions. This Privacy Statement may be modified at our discretion. Any change, update or modification we make will be effective immediately upon posting on our site(s). If we are going to be using the information collected from users in a manner materially different from that stated at the time of collection, we will send affected users written notice of the change by e-mail. Continued access of our sites by you will constitute your acceptance of any changes or revisions to the Privacy Statement. As you browse our sites, we may collect log file, IP address of your computer, and other standard tracking data we use to evaluate site traffic and usage patterns. Such information is aggregated with tracking data from all site visitors. We will use the information to personalize our sites according to your preferences based on the aggregated information. We also use the aggregated information to evaluate products and services we may offer to you. (iv) registration for events sponsored by JCH Media or its affiliates. If you communicate with us by e-mail, contact us through our online forms, post messages to any of our comment sections, or otherwise complete online forms, surveys or contest entries, any information provided in such communications may be collected as personal information. You always have the option not to provide the information we request. If you choose not to provide the information we request, you can still visit most of our sites, but you may be unable to access certain options and services. (v) in connection with your registration for a program. We may share your personal information with our affiliates and with our partners, including our exhibitors, sponsors and advertisers, for marketing, advertising, and/or product/service offering purposes, and with others who are licensed to access your personal information by any of the foregoing. Also, we rent e-mail lists compiled from e-mail addresses gathered from our sites. While we will seek to require all such third parties to follow appropriate privacy policies and will not authorize them to use this information except for the express purpose for which it is provided, JCH Media does not bear any responsibility for any actions or policies of third parties. In addition, we reserve the right to use the information we collect about you and/or your computer, which may at times be able to identify you, for any lawful business purpose, including to help diagnose problems with our servers, to gather broad demographic information, and to otherwise administer our sites, or if required to do so by law or in the good faith belief that such action is necessary to conform to the edicts of the law or comply with legal process served on JCH Media or to protect and defend the rights or property of JCH Media, or to enforce our terms of service. In addition, as our business changes, we may buy or sell various assets. In the event all or a portion of the assets owned or controlled by JCH Media, or any subsidiary or affiliated entity, are sold, assigned, transferred or acquired by another company, the information from and about our sites’ users may be among the transferred assets. If you reside in California and you have provided us with personal information, you may request information about our disclosures of certain categories of your personal information (if any) to third parties for their direct marketing purposes. 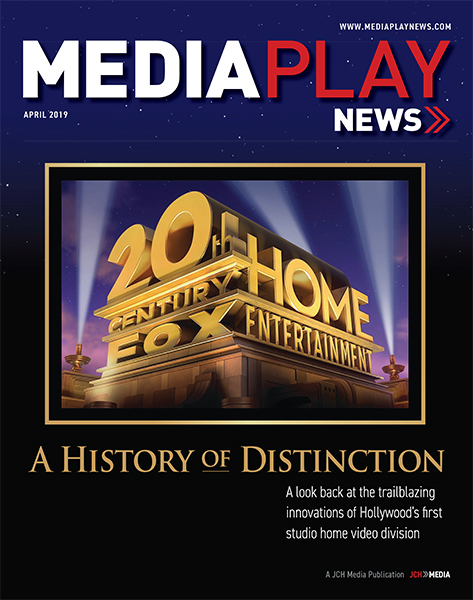 Such requests must be submitted to us at admin@mediaplaynews.com. Within 30 days of receiving such a request, we will provide a list of the categories of personal information disclosed to third parties (if any) for third-party direct marketing purposes during the immediately preceding calendar year, along with the names and addresses of these third parties. This request may be made no more than once per calendar year. We reserve our right not to respond to requests submitted other than to the email address specified in this paragraph. We reserve the right to use, transfer, sell, and share aggregated, anonymous data about our users as a group for any business purpose, such as analyzing usage trends, improving our products and/or services, and seeking compatible advertisers and partners. Many of our Site functions (but not all) provide you with the option of correcting, updating and modifying your personal and/or financial information, or visitor profile, at any time and as often as desired. If you would like to update, remove or correct your information and are unable to do so through your user profile, please contact admin@mediaplaynews.com or use our online contact form at https://www.mediaplaynews.com/contact/. Visitors to our sites and users of our services can decide if they want to receive targeted promotional information from JCH Media or targeted promotional information sponsored by our marketing partners. On the visitor registration pages, you can state preferences regarding advertising and promotional communications from JCH Media or our partners. Should visitors accept promotional email from JCH Media, any email they receive will include instructions on how to be removed from our promotional email list. If you do not wish to have your personally identifying information shared, or if you do not wish to receive future commercial communications from us by e-mail, you may change your preferences at any time simply by: (i) writing to us (and please include your e-mail address), or (ii) by following the unsubscribe instructions contained within the e-mail you receive from us. We will update your preferences as soon as is reasonably practicable. To opt out of communications from these third parties, please contact the third party sender. JCH Media does not bear any responsibility for ensuring that any third party complies with your opt-out or unsubscribe request vis-à-vis its own lists. A “cookie” is a bit of data sent by a website through the browser to the computer of the user visiting the site, and enables our sites to return the results the browser expects. We may use temporary, session-specific cookies to ensure visits to our sites is smooth and customized for the visitor — for example, to control the display of ads, to track usage patterns on our sites, to deliver editorial content, and to record registration and personalization information. Such cookies allow us to provide a visitor’s browser with information tailored to the visitor’s preferences and needs. We also may use permanent or persistent cookies that remain on a visitor’s computer after the visitor leaves our sites. We use this data on an anonymous basis and we do not correlate this information with personal data of any user. (i) Third-party vendors, including Google, may show our ads on sites across the Internet (including non-JCH Media sites) based upon your visits to this site. (iii) To implement these tools, we and third-party vendors, including Google, use first-party cookies (such as the Google Analytics cookie) and third-party cookies (such as the DoubleClick cookie) together to inform, optimize, and serve ads based on past visits to our website and to report how ad impressions, other uses of ad services, and interactions with these ad impressions and ad services are related to visits to our site. This website is operated in the United States. If you are located in the European Union or elsewhere outside of the United States, please be aware that any information you provided to us will be transferred to the United States. By using our website, participating in any of our services and/or providing us with your information, you consent to this transfer and to our collection and use of your information as set forth above. If you have any questions regarding our privacy statement, please feel free to contact us by letter at the address below, through our online contact form at https://www.mediaplaynews.com/contact/ or by e-mail at admin@mediaplaynews.com.